This is my style guide. It draws heavily on James H. Merrell’s “A Few Matters of Form and Style,” but is directed at British students. For a complete discussion of these matters, my students should refer to the History and Welsh History Handbook for your year. For citation guidelines, refer to the Information Sheet you received as a Year 1 History in Practice student. If you are a colleague, please feel free to steal and adapt a version of this guide for your own teaching. Taking the time to do so enables you to catch spelling errors and typos. Failure to proofread often results in careless mistakes that convince your reader you are lazy. Spell-check is not a sufficient form of proofreading. Example: In an undergraduate class on John Milton’s Paradise Lost, I constantly made the mistake of writing about ‘Adam and Even’. A spell-checker did not catch this error, and it was only by printing out my work and reading it aloud to myself that I managed to avoid the wrath of my professor. Reading your work out loud also enables you to get a feel for how your prose flows (or doesn’t). Before I begin marking, I open up every Wikipedia page that might possibly relate to the assignment, and I scan the bibliographies. If your citations look too much like Wikipedia’s, that’s usually a good sign that you haven’t done your own research. Wikipedia is not a source. It’s fine to use as the preliminary first step toward finding appropriate books and articles, but you should NOT use it to write your paper. As a general rule, you should cite secondary books and articles published during the last few decades, rather than books and articles from the 1890s. Unless you’ve checked with me, your secondary source citations should consist primarily of scholarly books and articles, not websites. 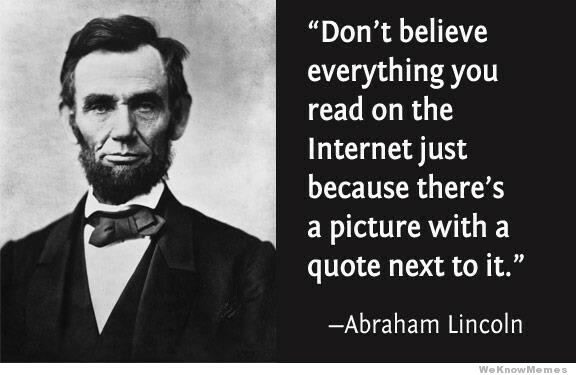 There is a great deal of unreliable information on the internet. Sites that end in .ac.uk, .edu and .gov do contain some good information, but they often lack citations. So use these sites sparingly, and if you cannot find citations on them you should avoid them entirely. People use commas in different ways. I am a comma person; I like a lot of commas. There are some instances, however, where a comma simply does not belong. Reading your paper out loud to yourself will enable you to spot such instances. A comma indicates that the reader should pause mid-sentence. If you pause and it sounds weird, remove the comma. Conversely, if, while reading, you find yourself pausing for no reason, add a comma. 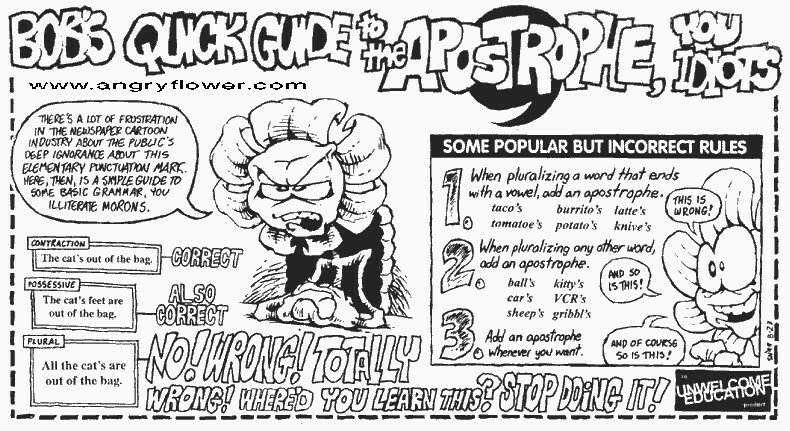 The lecturer explained how students should use semicolons; she hoped that doing so would improve students’ writing. The colonists brought disease, domesticated animals, etc. to the New World. The colonists brought disease, domesticated animals, and different foods to the New World. The colonists brought many things to the New World, such as disease, domesticated animals, and different foods. Their, there, they’re: ‘Their’ is possessive, ‘there’ is a place, and ‘they’re’ is a contraction of ‘they are’. Their professor was impressed by their writing skills, and gave them all first class marks. Since we were running late, we said we would meet them there. Their friends left the door unlocked, so they’re going to go back there. To, too, two: ‘Too’ means ‘also’, and ‘two’ is a numerical value. We can meet them there at two. Let’s go to the zoo at two—your friends can come, too! Your, you’re: ‘Your’ is possessive, and ‘you’re’ is a contraction of ‘you are’. You’re going to pass this class easily! Accept, except: ‘Accept’ means to take what is offered, ‘except’ means ‘to leave out’. Will you accept this award? Everyone received an award, except me. Affect, effect: ‘To affect’ is to change; ‘to effect’ is to bring about change. The effects of the medication should wear off soon. Settlement affected the Indians in a negative way. By building ships, colonists effected the bridging of the Old and New Worlds. It’s, its: ‘It’s’ is a contraction of ‘it is’ and ‘its’ is possessive. Try replacing ‘it’s’ with ‘it is’ in a sentence. If ‘it is’ does not make sense, you are probably using the word incorrectly. It’s really hot out. It’s probably going to rain. Too bad that yard has its sprinklers turned on already. Avoid contractions; they are inappropriate in scholarly writing, though they are acceptable in an informal piece such as this. Words like ‘don’t’, ‘can’t’, ‘didn’t’ and ‘won’t’ are contractions. Spell out both words: ‘do not’, ‘cannot’, ‘did not,’ and ‘will not’. In England, people use the single quote mark. Punctuation such as commas and periods go outside of a quotation mark. ‘It was raining’, she said. If you are using a quote within a quote, alternate between single and double quotes. Dashes (—), exclamation points (! ), and question marks (?) go inside the quotation if the person speaking used these forms of punctuation; if the punctuation is yours, however, it goes outside of the quotation mark. Colons (:) and semi-colons (;) go outside. When something multiplies from one to many, it becomes plural. Add an s. When something belongs to someone or something else, it is possessive. Add an ’s. When one or more things belongs to many people, add s’ to the end of the word. There are 300 students in this class. Have you marked that student’s paper yet? No, I want to re-read the other students’ papers first. The following comic may be helpful. If not, one hopes it might, at least, be amusing. Book titles should be underlined or italicized; articles and chapter titles should be put in quotes. Furthermore, a work of history is a book or a monograph, never a novel. Using the word ‘novel’ implies that the book you are reading is fictional. Footnotes always go at the end of a sentence, after the full stop and outside all punctuation. If you have used more than one page from a single source to write a sentence, you should cite those pages in the same footnote, separating the page numbers with a comma. If you have used two or more citations from separate sources to write a sentence, you should cite them in the same footnote, separated by a semi-colon. When you include a quote in your essay, you should make sure you analyse it sufficiently. It’s best to avoid beginning or ending a paragraph with a quote because doing so usually indicates that you have failed to tell your reader what you think the quote means. Joseph Plumb Martin complained of the weather and lack of supplies. He wrote, ‘To have to lie as I did almost every other night (for our duty required it) on the cold and often wet ground, without a blanket and with nothing but thin summer clothing, was tedious’. Joseph Plumb Martin complained of the weather and lack of supplies. He wrote that it ‘was tedious’ that he had to sleep ‘on the cold and often wet ground’, especially because he wore ‘nothing but thin summer clothing’ and often went ‘without a blanket’. The absence of supplies, combined with the cold, made army life miserable. The second example is a better way to work with that particular quote. Most primary sources will have been written during the time period you are writing about, usually by someone who was present as an observer. Secondary sources are usually written by historians who are trying to analyse these sources, and consist of books or articles. A good rule of thumb is that if the person you are talking about is dead, use the past tense. If you are writing about a living historian, it is acceptable to use present tense. Past tense: Joseph Plumb Martin described pay issues that prevailed in the Continental Army. Present tense: Dr Herrmann lectures every Tuesday. Write sentences in which your subject is responsible for the action performed. A good rule is that if you can add the phrase ‘by zombies’ to the end of the sentence, you are writing in the passive (rather than the active) voice. Incorrect: The exam was failed by the student. The land was changed [by zombies] and Indians were forced to alter their relationship to nature. Correct: The student failed the exam. European colonists changed the land and forced Indians to alter their relationship to nature. The length of the voyage caused hardship and starvation. This resulted in many deaths. The general response of the marker is ‘This WHAT?’ In this case, the reader does not know whether the voyage, the hardship, or the starvation caused death. If you use the word ‘this’, specify what you are talking about. Secondary and primary sources may “offer” insight; they do not “bring insight.” Do not write in your paper about sources bringing insight. Avoid words like ‘always’, ‘never’ and ‘absolutely’. Ben Franklin said in his autobiography that when he spoke, he avoided ‘using, when I advanced any thing that may possibly be disputed, the words certainly, undoubtedly, or any others that give the air of positiveness to an opinion; but rather say, I conceive or apprehend a thing to be so and so; it appears to me, or I should think it so or so’. Using such extreme words opens your essay up to criticism, because it just begs the reader to find a way to prove you wrong. Do not give them the chance; be measured in your analysis. A number of our modules require you to cite databases because a lot of early Americanist sources are online. Guidelines for citing from databases can be found in the Information Sheet you received as a Year 1 History in Practice student. Unless you are American, in which case this rule will bother you to no end. So your footnote would appear thus: Author, Title, (Place of publication: date), pp. 317, 450, 510-15. “Pp.” denotes multiple pages; use “p.” when you have cited just one page. So your footnote would appear thus: First Author, Title, (Place of publication: date), p. 317; Second Author, Title, (Place of publication: date), p. 804.